Globes are 14 inches in diameter with a 5.91 inch flange. 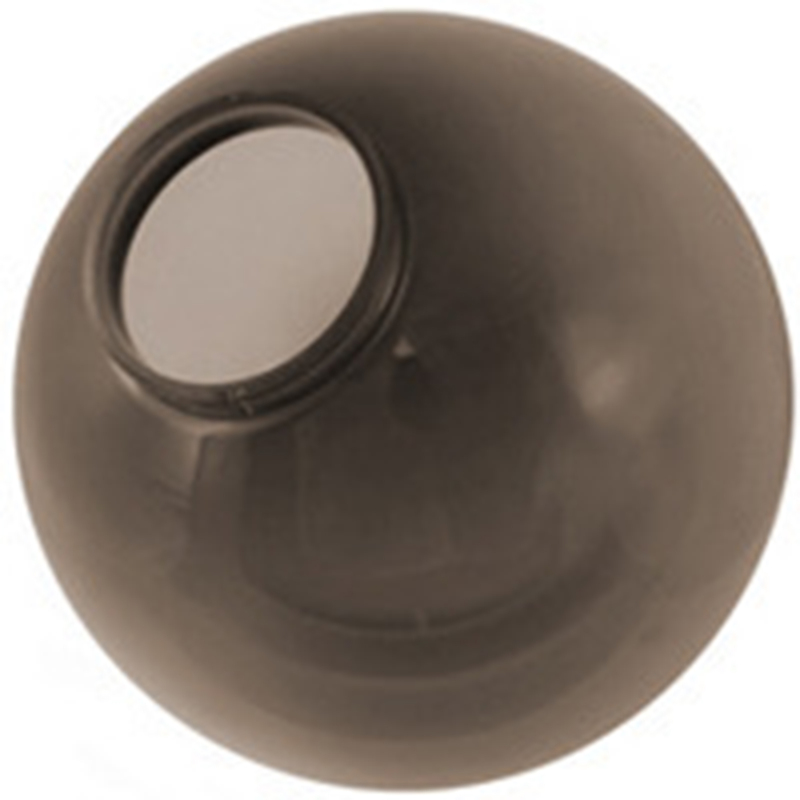 Globes are bronze acrylic,one piece injection blow molded, water and shatter resistant with UV inhibitors. They are 14 inches in diameter with a 5.91 inch flange and can be used either as a solid flange or a 4 notch twist lock neck. Please see diagram.